When it comes to free VPN Android apps, the choices are plentiful. In fact, one might assume they would never need to purchase a VPN at all by the sheer number of options available. That’s not the case unfortunately as you get what you pay for with any VPN provider.You will not be able to find a free VPN Android app that has all the bells & whistles – they simply don’t exist. What you will find is a solid selection of apps that can keep you safe while you browse, and download in some cases. With that in mind, we put together a list of the best free VPN Android apps currently available. How secure does your mobile device need to be? Most of the free VPN services can lend a hand when it’s time to browse the web without using your own IP address. That will certainly keep your online identity hidden to a degree and is ideal if you want to browse anonymously. While that’s nice, some folks may need 256-bit encryption or require a bit more security. When looking for the best VPN Android app to suit your needs, think about what kind of security you need from virtual private networks. As mentioned, there are literally dozens of options on the Play Store that are truly free, but you may need to pay up to find the features you need. A browser that spoofs your IP won’t help when you try to download a torrent and is useless when it comes to Kodi addons as well. This is the area that separates the best from the rest with VPN Android apps. You will not find something free that’s on par with IPVanish or even Nord, but there are some fine options available on Google Play. The first feature to consider is the number of servers offered. You also need to check the server’s location and make sure it lines up with what you want to do. Location of VPN servers varies by the provider as does customer service. Do you want a free VPN with 24/7 customer support? That will be hard to come by with any “free” product, regardless of the niche. Even if customer service is lacking, many popular options have forums or online communities to offer assistance. There will be some exceptions, but users want a free mobile VPN are generally going to want something easy to operate. When it comes to ease of use, a solid UI and good customer service is a wise place to start but not the only factor to consider. If you’re forgetful, having a VPN that automatically connects when you fire up the app is a plus. That’s something you’ll find on even meme VPNs, but just as handy as guest logins. Some VPN services may require you to make an account which will be an instant turn off for many. On the flipside, others simply require you to press a button. You can’t have the sweet without the sour – that’s a fact. It’s also true in the wacky world of free VPN services and can be a major downer if a log policy or using the fastest servers are a concern. You can’t expect top-tier speed for “free,” and you can also expect leakage. Having a throttled connection may not kill your experience, but a company’s policies can. If you’re brave enough to get past the many permissions most free VPN Android apps require, you may be hit with a nasty surprise. Some services provide you with a free fake IP address by sharing your “idle” resources which can include data. Obviously, you want to rule those out right away. The other major issue you may have to deal with aside from lack of features and speed are ads. While paid virtual private networks will block them for you, free services may need them to survive. That’s a trade-off you are likely to encounter, even with the best VPN Android apps on the Play Store. Turbo VPN is ad-supported, but a lock for one of the best VPN Android services nonetheless. It’s extremely easy to use, and while the features are sparse, its speed and stability put it towards the top of the pack. 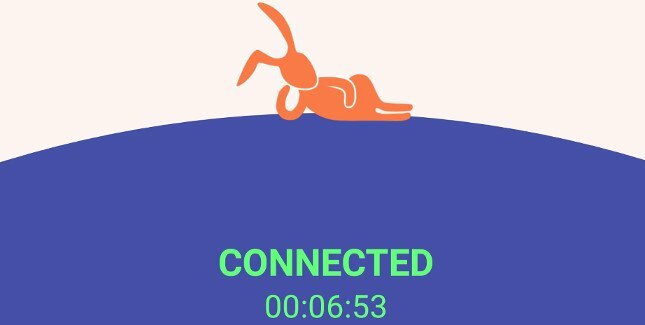 When you fire up Turbo VPN, you’ll see a screen with a bunny, carrot and a message. 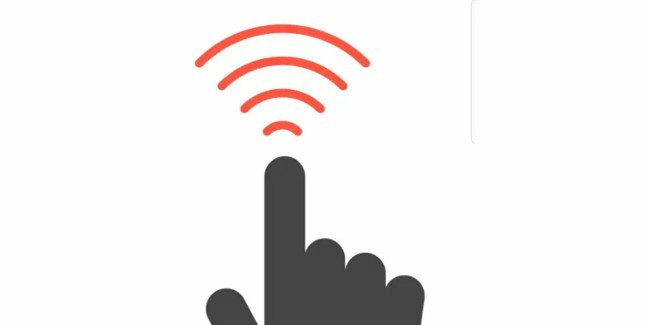 When you tap that carrot, you’ll get a connection message, and within a few seconds, your connection will go live. In our case, it automatically started us out with the fastest location, but you can choose a new server by selecting the flag on the right. In our Turbo VPN review, we were given six server locations. They are subject to change and may vary depending on where you reside as well. There’s a repair button, and if you want to bump things up a notch, you can take a free trial to use their VIP service which includes faster servers and more features. There are no settings to speak of aside from an auto-connect toggle and one for notifications. It’s a lightweight VPN although that is certainly not a bad thing. Overall, Turbo VPN is a solid all-around choice and well worth a look if you don’t mind ads. We’ve covered TunnelBear in the past, and it’s one of the older free VPN services that are still alive and kicking. It is by far the “cutest” app on our list and one we generally tend to have on hand if we need to quickly hit the web anonymously. 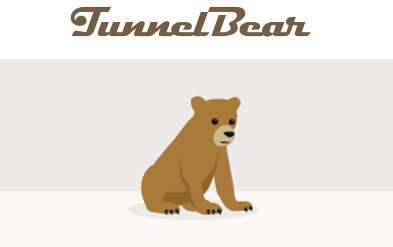 TunnelBear may seem like a meme VPN at first, but don’t be fooled by the cute cartoon mascot. It is a full-service VPN with a solid free tier, which has around 20 server locations available. That should be more than enough coverage for most with spots like Sweden, Hong Kong, Australia and the U.S. When you select the location you want to use, the bear takes care of the rest. One of the big things we like about TunnelBear (aside from the Bears) is the fact they explain things. That’s key for beginners, but not intrusive if you’re an experienced user. You’ll get several options with this one as well in comparison to other free VPN Android services. GhostBear can make encrypted data appear normal while SplitBear allows you to select which apps are safe outside the tunnel. The free tier of TunnelBear gives you 500MB per month. That’s not much, but they give you ways to get more data for free straight away. Their paid plans aren’t that grand however at $9.99 per month or $60 for a full year. You will have to make an account to use this VPN service on your Android device although you can use a fake one if you’d like. This one is a bit different than the rest of our VPN Android apps as it won’t protect everything you do online from your mobile phone. 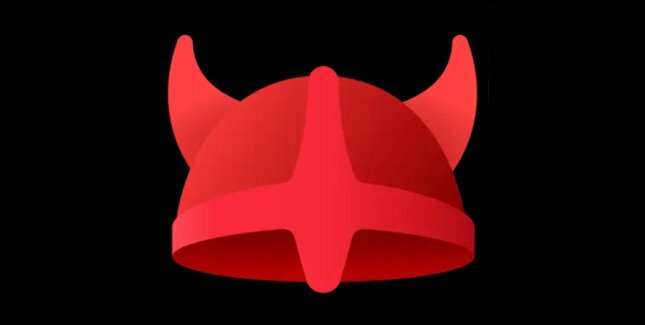 Opera Free VPN is a browser-based app that uses virtual private networks, but one we feel works quite well. Opera Free will hide your IP address like the rest of our picks, and it is 100% free as advertised. Like TunnelBear, you’ll get a mascot named Olaf to guide you along. That said, you do not get to choose your starting region initially so you will need to connect first then change server locations. There are only five to choose from so your options are limited to Canada, Germany, Singapore, Netherlands, and the United States. In addition to keeping your identity private while you browse the web, Opera has a couple of nifty built-in features. One is a security check which grades your Wi Fi connection based on how secure it is. The other is something called Active Guardian. When activated, this keeps those pesky ad trackers at bay – something that you won’t find with other VPN Android apps. At the time of this writing, there is no torrenting allowed through Opera Free VPN, but the company says it is a feature that is definitely coming soon. Aside from that and their arsenal of limited servers, it’s a fine choice for light-duty use on your mobile or slate. In comparison to TunnelBear and some of the older options, Touch VPN is fairly new to the game. With 10 million downloads and counting, they have gained plenty of ground in a short amount of time. That’s due to their free VPN service, and it’s minimalistic UI. This VPN Android app is what we refer to as clean when it comes to the design. There’s no clutter, just a simple connect button to go along with a drop-down full of server locations. At this time, there are well over 20 locations available including India, Denmark, Russia, and Turkey along with the usual locales. While you can make an account, it is not required for this VPN service. When it comes to settings, there are plenty of toggles to flip. You can set up a sleep mode or alerts for any time when you’re unprotected. There is also an “Apps Control” feature although it comes with a catch. To use this, you will need to give permissions to read usage access stats. It’s a trade-off, but one some will accept for the additional functionality. Touch VPN is another great choice if you want something free to browse the web and do a bit of downloading. We found the speed to be on par or better than other providers and it’s extremely easy to use as well. At the end of the day, the VPN Android app that’s right for you may not be for someone else. That means you need to heed our advice by considering your needs before clicking that install button. All the apps we chose are “safe” from a malware standpoint, but there are plenty of shady VPN apps lurking in the Play Store. While most users will simply want a VPN to browse the net, you should still check in on the log policies. It pays to do your due diligence when trusting someone to protect your data and IP address, so look before you leap with any VPN provider.